"Aquifer protection in the study area is a topic of public concern in relation to the potential for natural gas drilling in this part of New York. Aquifer protection efforts likely will focus on currently used resources. Information provided in this report may help managers prioritize protection of largely unused aquifers whose characteristics suggest that they are capable of providing large public or commercial water supplies." p. 17. Rachel Treichler’s excellent analysis points out why this study is valuable to communities in the Southern Tier. Of particular importance, the report highlights the close connections between uplands and the valley aquifers. If water quality in streams is compromised by activities in the upland watershed, groundwater quality in the valleys may be compromised. Therefore, it is not good enough to simply protect valley “wellheads” for local water supplies. 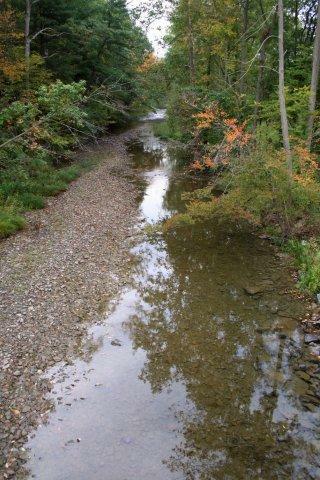 We need to protect the upland watersheds. Treichler will address watershed protection options in Candor, NY on March 27, 6:30 pm at the Candor Fire Hall (Rt. 96B). I was sent a copy from the author back in February and I highly recomend all people read this document. Two other spots to read are the Introduction and the Summary. Then look at the listing of references and notice the PA DCNR open field reports by the professor from Bloomsburg. They have been done in the last 10 years. You can go to the USGS website to look up this and other USGS publications. Note some times the Maps are 30 inches by 38 inches and are large files.